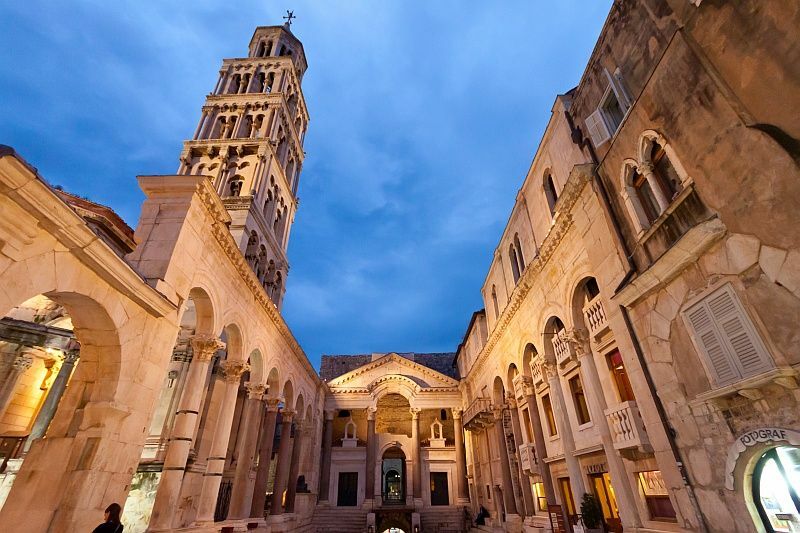 South Adriatic Explorer Balkan Coach Holiday Tour [2019 / 2020] Book Today! 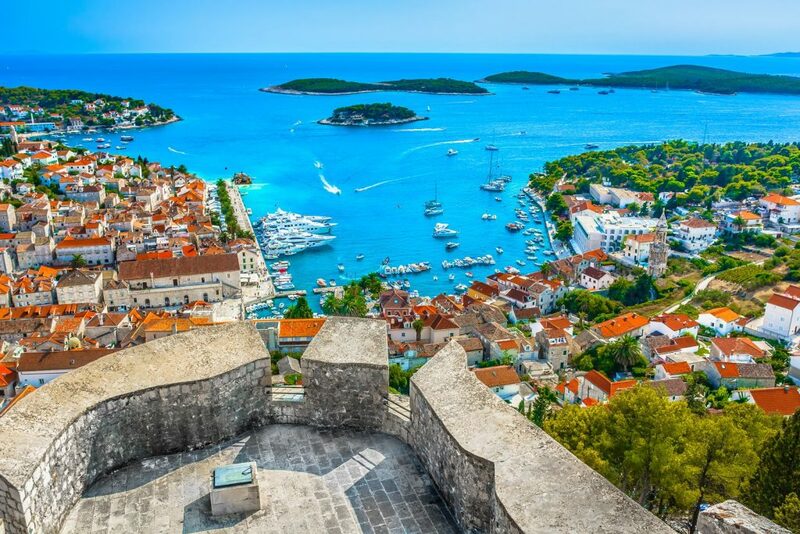 The Southern Adriatic coast of Croatia and Montenegro boast many UNESCO-protected cultural and architectural sights, natural beauties and amazing views. It is rich with historic towns and sights, natural beauties and picturesque islands. 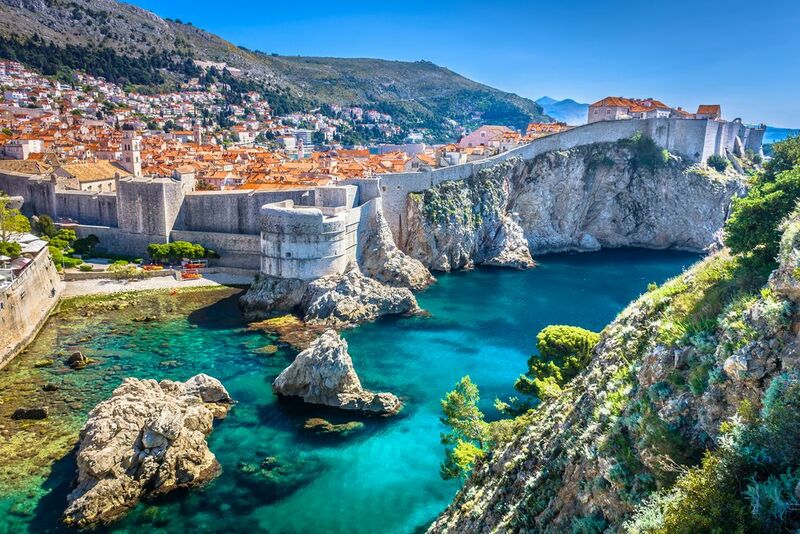 This tour will take you from the popular city of Dubrovnik towards Kotor and the Kotor Gulf in Montenegro, and further towards Bosnia & Herzegovina’s city of Mostar. 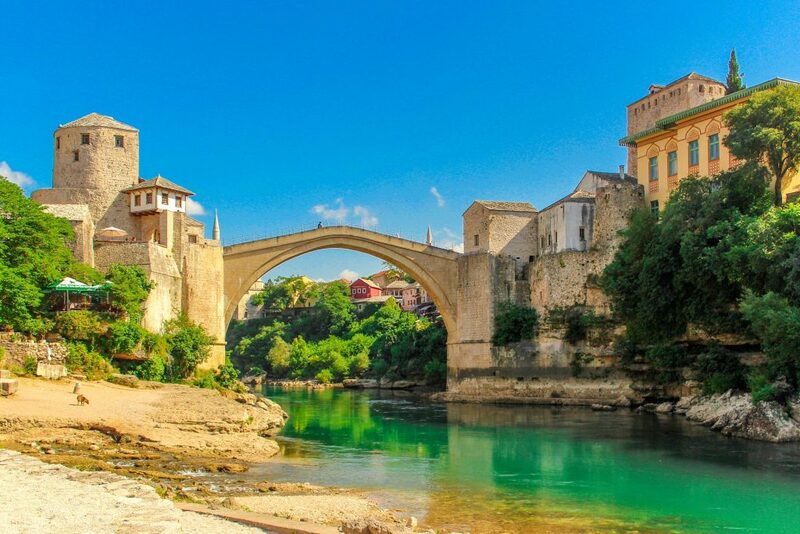 Mostar, the “Bridge Town” if directly translated from Croatian, boasts its rich Ottoman heritage. 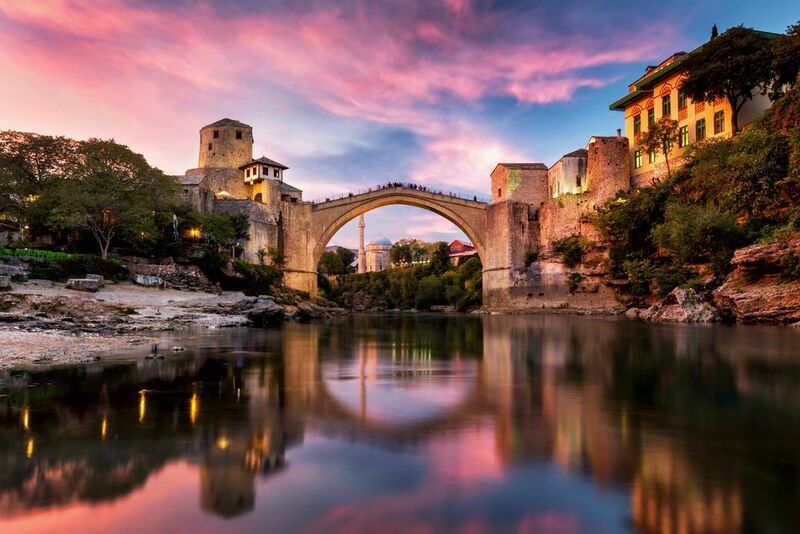 Visit its Old Bazaar, mosques and walk the iconic Old Bridge. 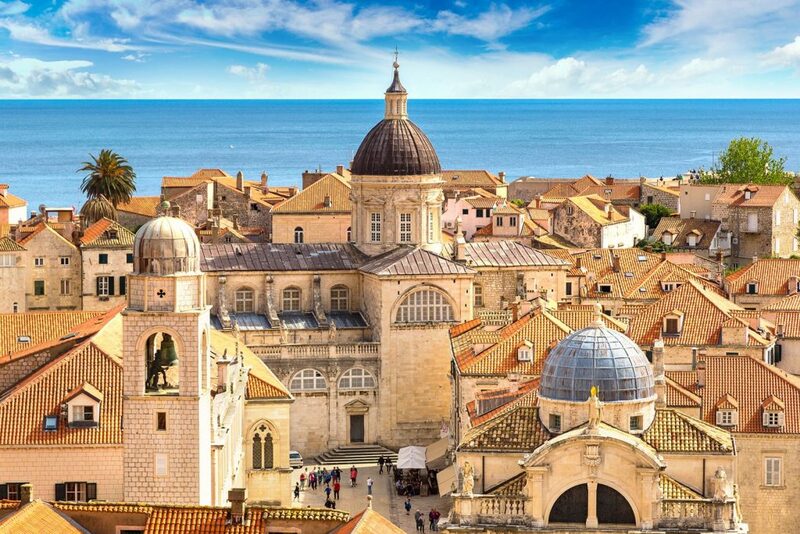 The tour will take you back to Croatia where you will visit Split, Trogir, Korčula and Dubrovnik. Countless UNESCO-protected architectural and cultural sights, tasty regional dishes and natural wonders await you! 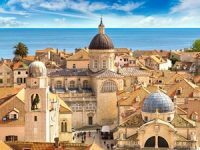 We’ll pick you up from Dubrovnik Airport, Dubrovnik Harbour or from a hotel of your stay and transfer you to the tour hotel in Dubrovnik. Spend the rest of the day at leisure. Dinner and overnight in Dubrovnik/ Dubrovnik area. After breakfast, we’ll take you to the Pile Gate, one of the entrances to the Old Town. Here you will join the excursion of Dubrovnik by cable car. Enjoy a panoramic view over Dubrovnik and the Adriatic from cable car and the Srđ Hill over the city. Return ride to the cable car station & guided walking tour of Dubrovnik. This city was once a mighty state-republic dominating the naval trade across the Mediterranean. 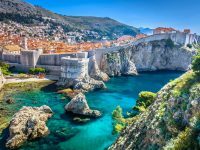 Today you can see the remains of its former glory everywhere you go; walk the Dubrovnik Old Town and its Medieval walls, visit the palaces, towers and monasteries all over 300 years old. Afternoon transfer to your hotel. Dinner & overnight in Dubrovnik/ Dubrovnik area. After breakfast, we’re heading towards the neighbouring country of Montenegro, only a short drive away. 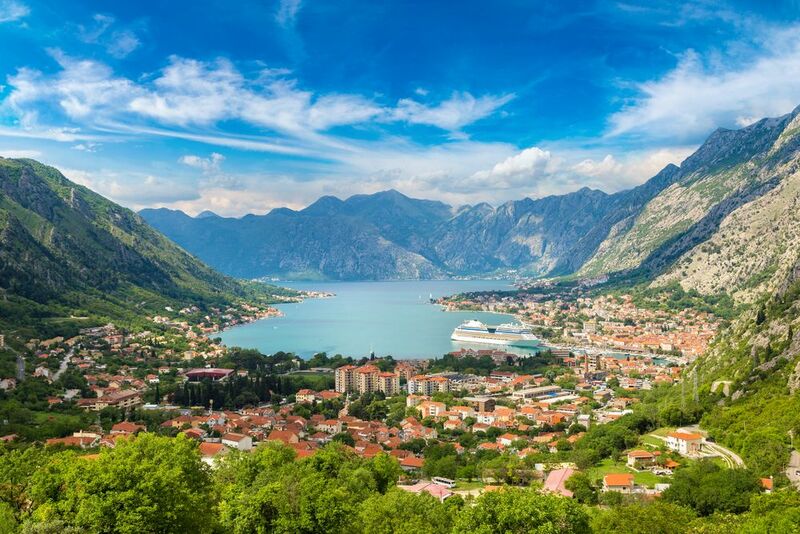 We will visit the picturesque Gulf of Kotor, surrounded by mountains and historic sea side towns. Our first stop is the Baroque town of Perast and the Church of Our Lady of the Rock on an islet in the middle of the Kotor Bay. Our next stop is the UNESCO-protected fortified town of Kotor, where you’ll be taken on a guided walking tour. After the tour, enjoy your free time in Kotor, exploring its narrow streets and beautiful sights. Return to Dubrovnik. Dinner & overnight in Dubrovnik area. After breakfast, we’ll depart to Mostar, the historic city in neighbouring Bosnia & Herzegovina. 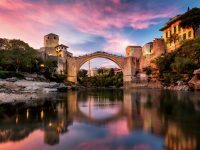 This is a place where east and west merge and create a wonderful synergy; walk the Old Bridge, today a symbol of Mostar, visit the Old Bazaar, an Ottoman-influenced market, the Turkish House and old Mosques. Free time to explore Mostar further or taste the local dish “ćevapi” in one of the restaurants. Dinner and overnight at Makarska Riviera. After breakfast, we are heading towards historic Split, the second largest city in Croatia. 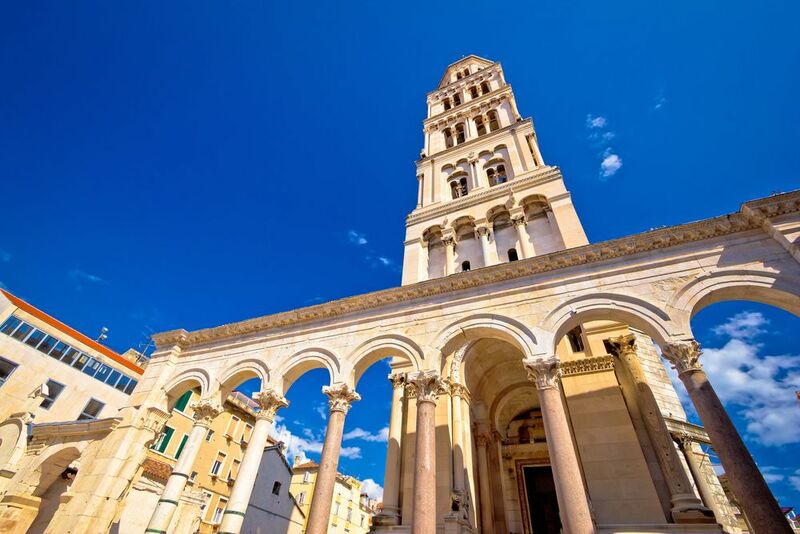 Split is most popular for the Ancient Roman Palace, built by the Emperor Diocletian in the late 4th century AD. The modern-day Split was built around this magnificent palace as its centre. 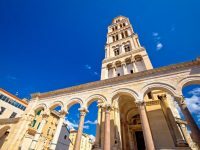 Enjoy the guided tour of Split and the Diocletian’s Palace, today buzzing with life and featuring many bars, cafés and restaurants. Free time after the tour. After the break in Split we ride towards the picturesque nearby town of Trogir. 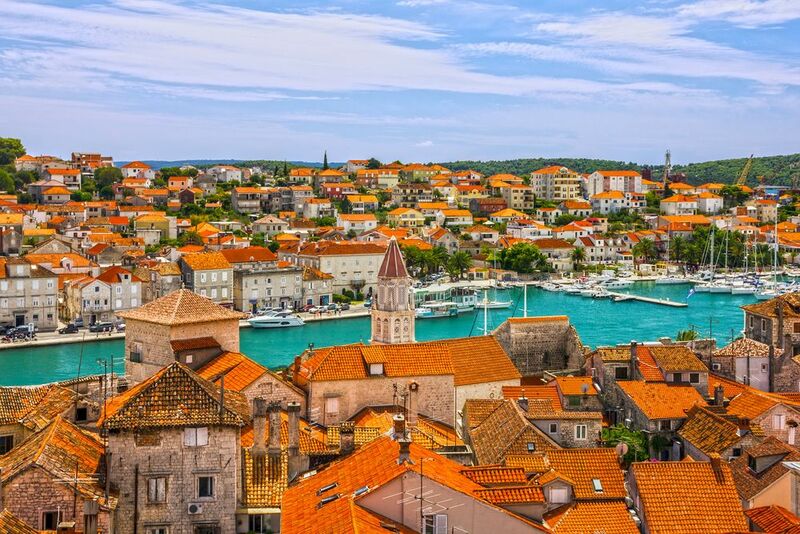 Trogir was first established as an Ancient Greek colony of Tragurium and is today protected by UNESCO. 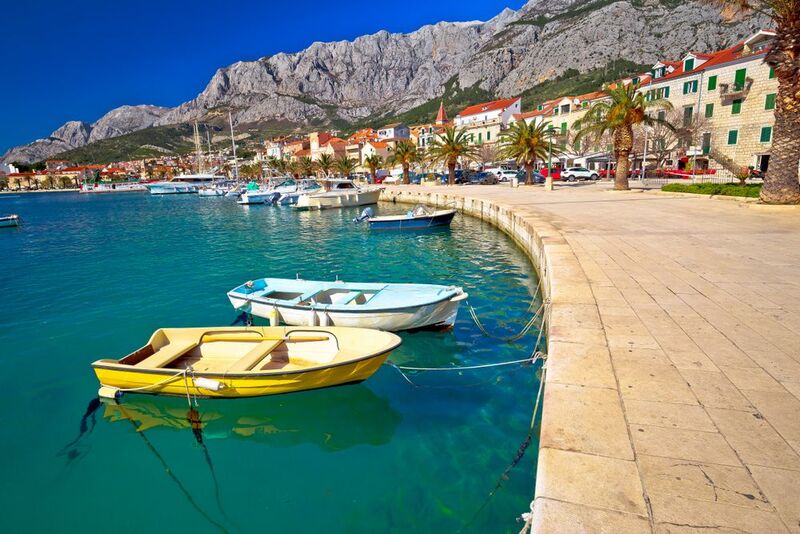 Today is your day at leisure to explore Makarska Riviera. 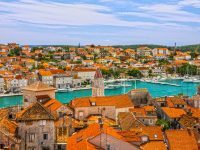 Option: excursion to Krka National Park & Šibenik. 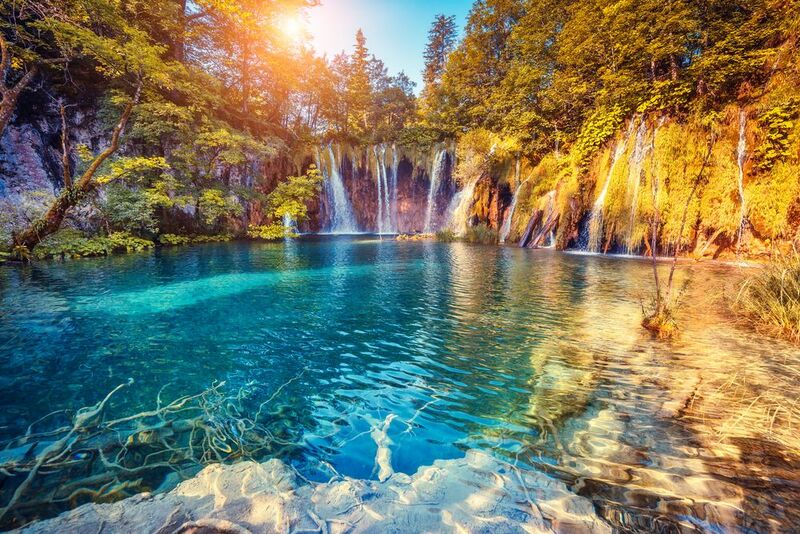 Krka National Park is full of wonderful waterfalls and beautiful nature, and Šibenik is a charming Medieval town that used to serve as a capital city of the Kingdom of Croatia in Early Middle Ages. After breakfast, we will leave Makarska Riviera and head towards Ploče. Here we’ll hop on a ferry to Pelješac Peninsula and Orebić island. 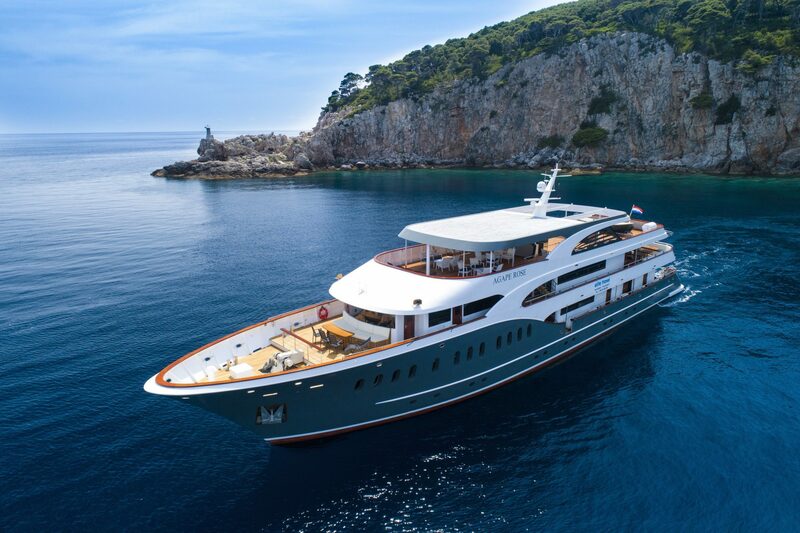 From here a short boat ride will take us to the Island of Korčula, full of narrow streets, historic churches and palaces. 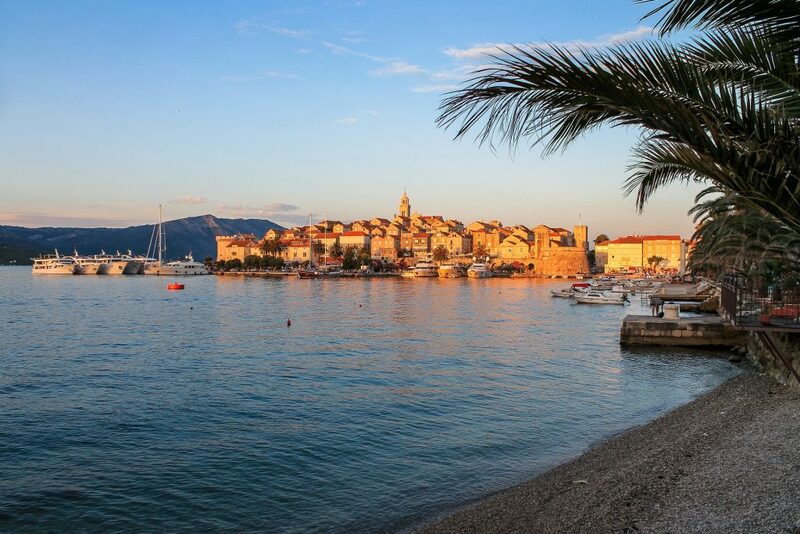 You’ll be taken on a walking tour of Korčula town and enjoy some free time afterwards. Return to Orebić – Pelješac Peninsula – short stop in Ston. Arrival in Dubrovnik hotel, followed by dinner. Overnight in Dubrovnik area. Thanks for joining us on this adventure! After breakfast, we’ll transfer you to Dubrovnik Airport for your flight home or to a hotel in Dubrovnik for the remainder of your stay.